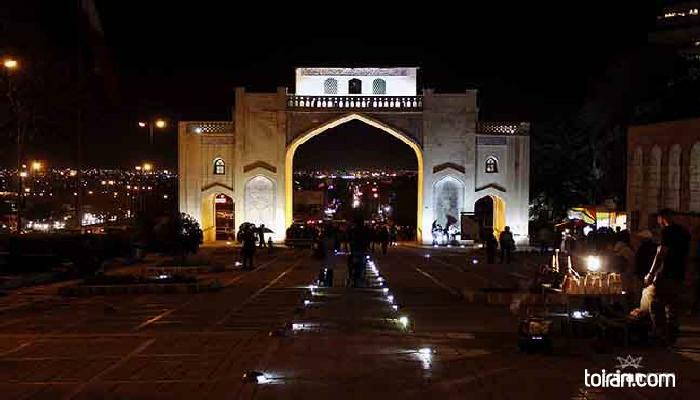 Quran Gate is a historical gate at the northeastern entrance of Shiraz on the way to Isfahan. Built during the Buyid dynasty (949 to 983), the gate housed a handwritten Quran so that anyone passing from under the gate would be blessed by the Holy Book and travel safely. The gate was restored during the Zand Dynasty (1750-1794) and a small room was added on top for keeping the handwritten Qurans. In 1937, the Qurans were moved from the gate to the Pars Museum in Shiraz where they continue to remain today.